When you do freelancing, you are not merely doing tasks related to design but you will be obliged to do other things to ensure that your freelance career won’t be on the rocks. That is why, it is very much important that you know what to do on the business side of freelancing. Well, you might not be that business minded but since you are already into it, then you have to stand for it and work according to what it requires. Part of doing freelance is doing everything. Yes, you read it right. You need to manage your finances, work on accounting stuff (no matter how you hate it), transact with clients, work on documents and many others. It’s like a one man band. But you have to make sure that you will be able to play the music well even if you are playing with different instruments at one time. That’s part of the freelancing challenge. 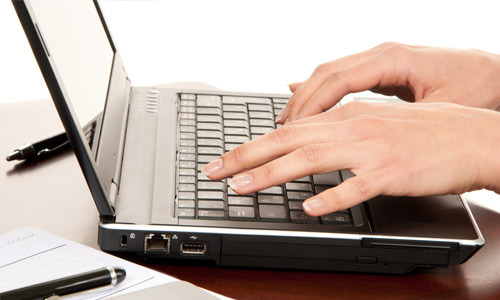 Going back to your tasks as a freelancer, we have mentioned that you will be working on some documents. If you hated business writing even while you were still in school, this time, you have no choice but do it. One of the important documents you need to make is a quotation. Now, what is this quotation stuff? A quotation is a business offer that you make to a client for certain services at specific prices and on particular terms and conditions. This is a proposal to the client about a certain project that show how much you will be charging and what certain tasks you would be doing to complete the job. Aside from that, there are other contents of a quotation like how long you can work on the project and others. Well, you’ll get to know those parts below. A quotation will help your client decide if he will hire you to work for him or not. So, it is very important to create a clear, concise and courteous quotation that would make the client say “yes” to you at once. We will help you convince your clients to hire you by creating a killer quotation. 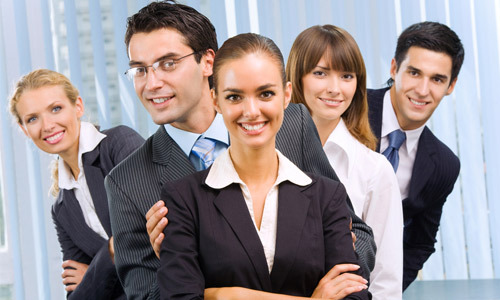 Having a good quotation is your ticket in getting a freelance job. So, we will be helping you with that through the tips below. Before we go into how you will write a quotation, let us first take a look at some important tips you need to know on how you can quote for freelance projects. Read on and get that project you’ve been trying to grab. It is important to know the project details really well. This can help you check if you can really work on the project or if you are capable of doing it. Know what the client needs for a project. Read the project brief so you will know what you need to do and how long you can work for it. Time frame will be needed when you give your quote. Understand it well. If you think you don’t want to work on the project based on what the client needs for it, then do not quote for it. 2. Discover the client’s budget. Well, clients would not like to reveal how much their budget is because they are aiming for lower prices that is why they are asking for a quote. But you can still get to know your client’s budget. Some of them would be willing to let you know. This can help you to decide on what price you will give and if you can work on the project because sometimes your price is higher than the client’s budget. You might not be able to work for a payment that is way too lower that how much you are actually charging. 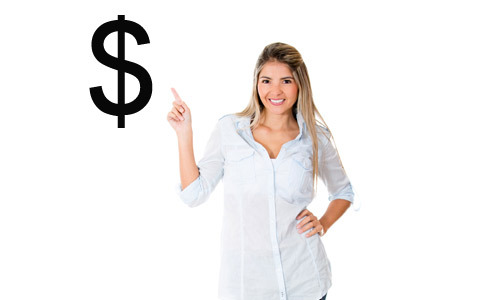 Prior to quoting for a project, you need to know your rates. 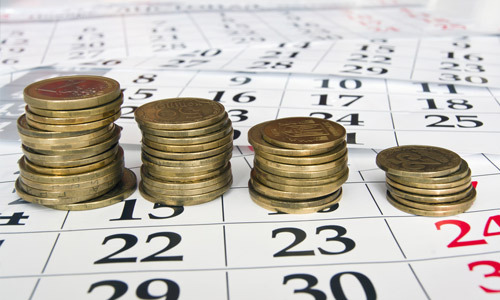 Determine how you will charge a certain project. Make sure that in setting your rates, you will consider every single important thing like your hours spent for the project, researches, resources you need and many others. With this, you will be able to quote without worries. When quoting you can quote to an estimated hourly rate and time frame like $30/hr for 20 hours. This will encourage the client to do their part well for the project. They will be more willing to give you what you need so you can finish on time and they will no longer give additional payments for the extra hours you’ll spend for the project. 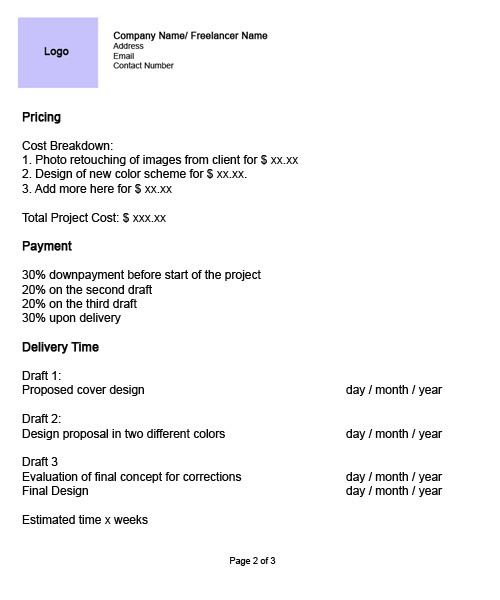 You can be helped with this article on How to Determine your Rates as a Graphic Designer. Well, if you think this one is not important, actually, it is. This can help you create guidelines for what you can offer for design projects. You are not looking into your competitor’s rates to compete with them or to scout for clients that they are quoting for so you can also quote for it. You are looking into your competitor’s rates to best them in quality and be able to offer a premium service better than theirs. After knowing how much your competitors are charging, you will be able to offer a better deal of the same value. 5. Up the price a bit. Do not hesitate to do this because you have to estimate on high end. There could be extra hours and extra efforts that you will be doing for the project beyond what you have agreed on the quotation. You would deserve payment for that. Some clients will also be asking for discounts and you could give that if you have up your price a bit. But make sure not to give discounts if you think your earnings are too low already. 6. Be professional in approach. Make sure that you are professional when it comes to the way you write and communicate. This is important since clients will only work with people who know how to transact business well which include communication in all forms. Remain professional in every aspect of the business transaction from the very start of the project until the delivery of the output. Doing this can also help you to Achieve a Stable Freelancer Credibility. Aside from the project specifications and conditions, you also need to include other important details like your contact information, your name and company name, logo and others. Well, you can include that in your header. Doing this can give more confidence to the client that you will really be trusted with the job. 8. Create a good proposal. 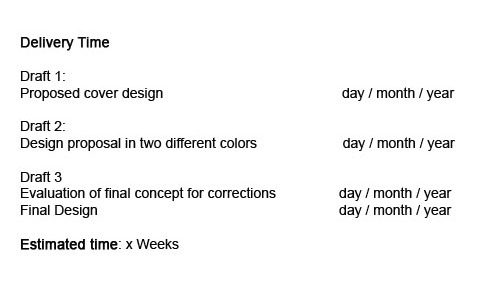 Always create a proposal for a project. See to it that in making one, you will be able to cover everything that is needed for the project. 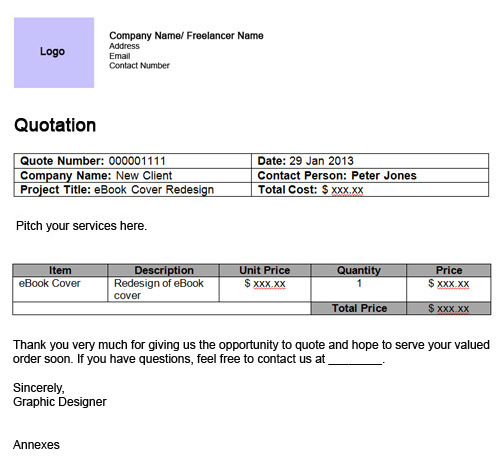 When you send a quotation, include a proposal with it. This will let the client know that you are really interested with the project. 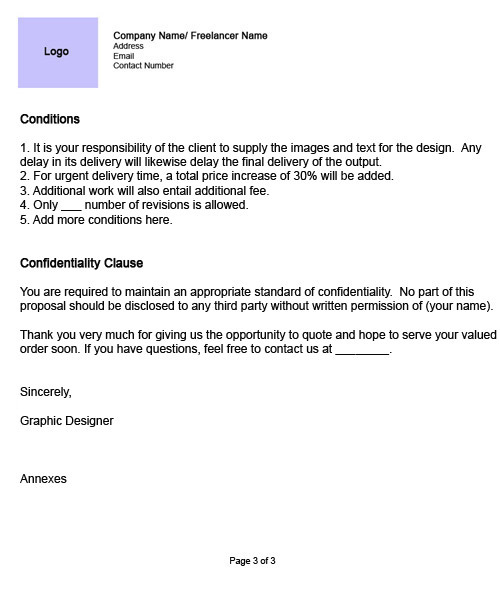 This could also give the client enough information about what you propose to do for the client. This can save a lot of time from you and the client as well. Make a killer proposal paired with a killer quote. Detail everything. Make sure that you include the project specifications and other items that are part of the project. This is to have a clear information on what you are really working for and what the clients are really paying for. Place a detailed breakdown of your price quote. Once your client sees this, he will know that his payment is all worth it. Also, this can avoid future misunderstandings regarding the project work specs and fee. 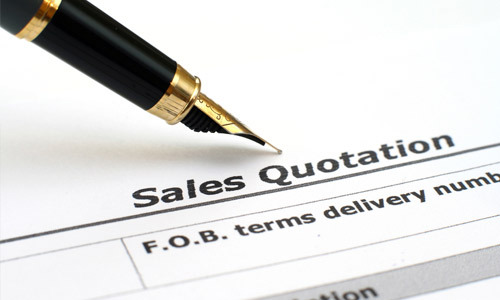 Like a contract, you should also include payment milestones in the quotation you will make. Specify how much you will be requesting from the client on a certain time. 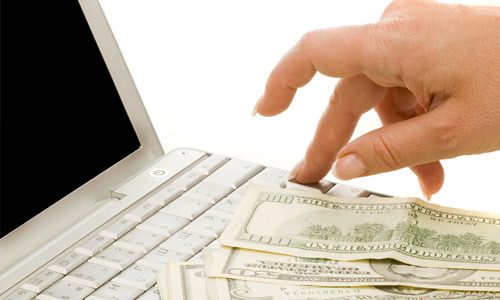 For websites, the final payment can be given when the site is live. If you are working on business cards and other print jobs, you can invoice the final payment on the delivery of the items. Talk to your client about this also since they might have some concerns regarding dates and payments. In your quotation, you should also state the conditions of the project. Conditions are important for every business transaction. This is one way to ensure a smooth sailing project with your clients. This includes how long you will be working on a project, what you need from the client, what are included in the project, number of revisions, additional payments for additional jobs that are not stated in the quotation and others. You should also include anything that you are not responsible for like printing. 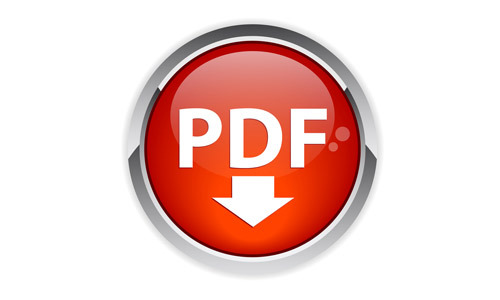 It is also important that you save your quote in PDF file so that it will not be edited or changed. 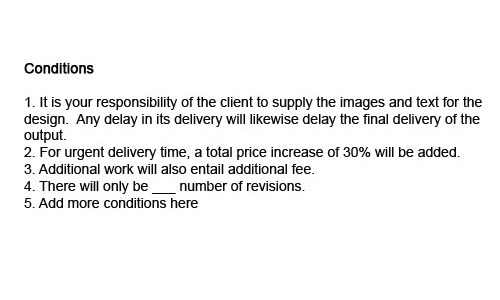 You will also be assured that your copy and that of the client are the same. 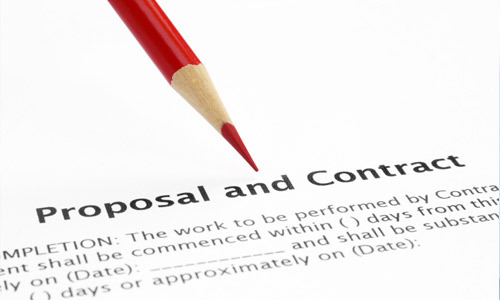 Your quote and proposal will also be secured in PDF file since it is harder to change. So, after we have given you the tips, let us put all of these into writing. Here are the parts of a design quote and a sample of how you can use it. 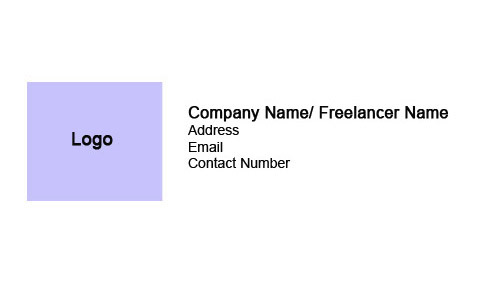 In your header, you would include your name, company name, logo and contact information (cellular number, location and email address). This is the part where you will pitch your services. You can make it sound personal and professional. Personal in a sense that you are like reaching to them in a personal level to make the communication easier. Professional in a way that you will not just write like how you would write an old friend but you have to communicate in a business manner. You have two options on how to do this part. 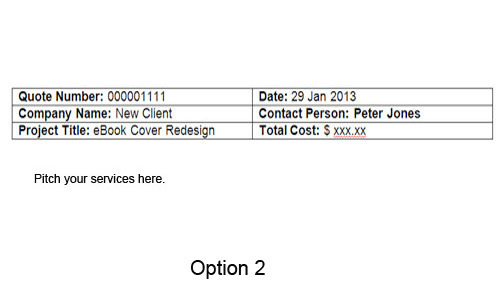 For option 1, you can begin by placing the date, the name of the client and their address. Then you will state a brief presentation about your proposal for the project. But you can also try option 2 where the date is presented in a table. This is where you will include the features of the project. Your scope of work will be seen in this area. Write in detail what are included for the design. You also have two options on how you can present it. 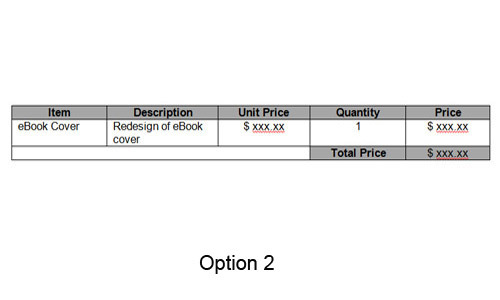 For the first option, you’ll state it in bullet or number form while for the second option, you use a table with the pricing indicated. State how much you are charging in a detailed way. 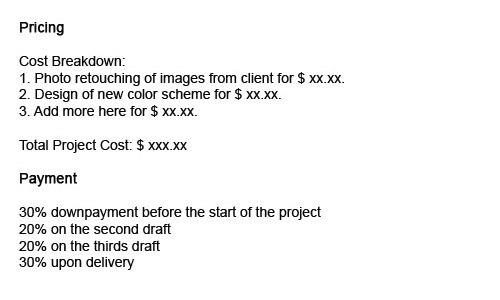 You have to include the details of the project with the amount per task. Also, include the payment milestone to this part. You can still change the payment milestone depending on what you have agreed with your client. It is also important to include the timeline of your project. This will serve as a guide for both of you regarding the number of days and hours you will need to work for the project. All the conditions of the project will be stated here. Do not forget to mention those which are not included in the project and also the number of revisions you can do. 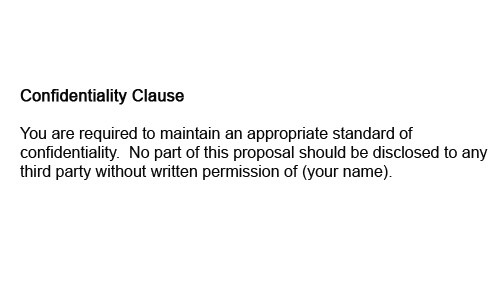 This part secures you that your proposal will be kept only for you and your client. But this can or cannot be included in your quotation. 8. 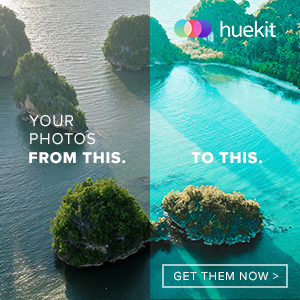 Close and call to action. 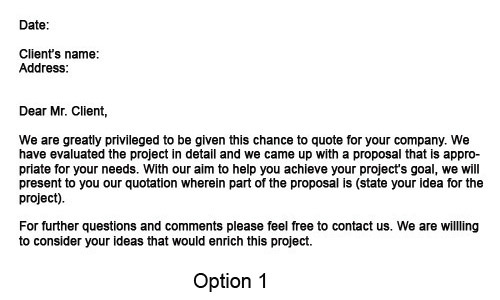 To finally close your proposal, you can leave a few words like saying you are grateful for the chance of being able to quote for the project. Also, add a call to action to contact you if the proposal is agreeable for both parties. Well, self explanatory. This is a must in every business document. You can include a link towards your latest projects or to projects that you have done which are related to the design your client needs. This way, your client can also check your works which can give you more chances of getting the project. 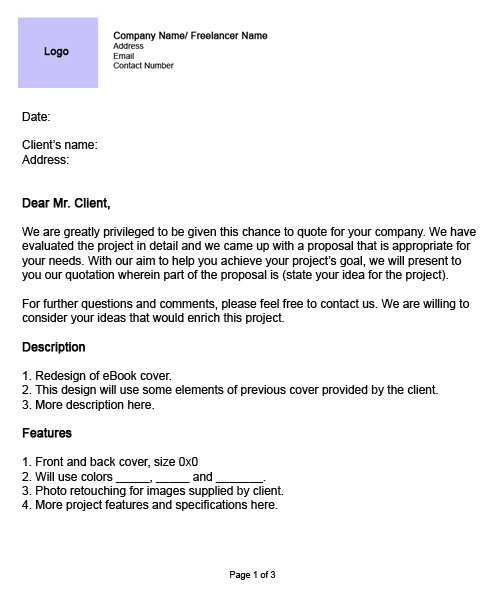 So, here is how your design quotation and proposal will look like after you have placed together all the parts of the quotation. The first sample is a complete quotation where you can see all the parts. It is of course lengthy for it can use around three pages. If that happens, see to it that you will place page numbers. You can also retain the letter head for the rest of the pages. But you can also do it differently by having a smaller header on the next pages. Now this one is a simplified quotation which is often used for faster transactions and for clients who would merely like to know how much they will be charged for a certain project. You can choose which one is good for you. For the second sample, you can also add other parts like the delivery time and conditions. Consider what you need for a certain transaction. You can actually go simpler and skip other parts. 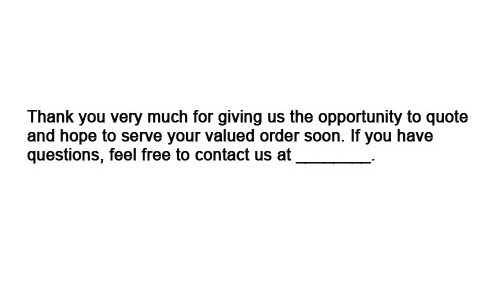 But make sure that your quotation will look as professional as possible. And by, the way, do not be designing too much for this document. It doesn’t need to be full of colors and style. What matters is the content that the client is looking for. Also, bear in mind that it is not just your quotation that could help you get a job but you should also learn How to Negotiate a Freelance Contract Successfully. We hope you find this post useful. You can also share to us how you write your own quotation. Thank you for your article,the tips are very helpful to me.It gives me an idea on how to get clients with the use of good quotation. Good article!On your example,I like the second example because it is short but more precise than the first one. I agree with you Chris,for me even it is written in a short form at least you gave the important details that will convince your client then if they hire you give the other details like the conditions in you contract. Your right about that Chris, the second one is simpler and more precise. But you also have to look into the type of client you have. If you think that your client is meticulous, the first one would fit but if the client is straightforward, then go for the second sample. I like your post Ms. Kareen,in your experience using this tips how many clients have you convince to work with you? The tips are really helpful even to other kind of business.And in freelancing it is important to make a good or if possible a killer quotation for us to have the attention of our clients. Thank you for sharing this tips they are very applicable to my work. You’re really good in giving tips,I think you are very successful now, am I right? Nice article and the samples look easy to do,thank you for the idea. Thanks for sharing your ideas Ms. Kareen,your post is very useful to my work. I really like the first sample, thanks for the idea! Most of the clients doesn’t even know what they like until they have the design, proposal in hand. You should also consider that on the contract. Grumpy Cat Invades Classic Disney Animated Movies! This Cat Is Just So Hilarious!